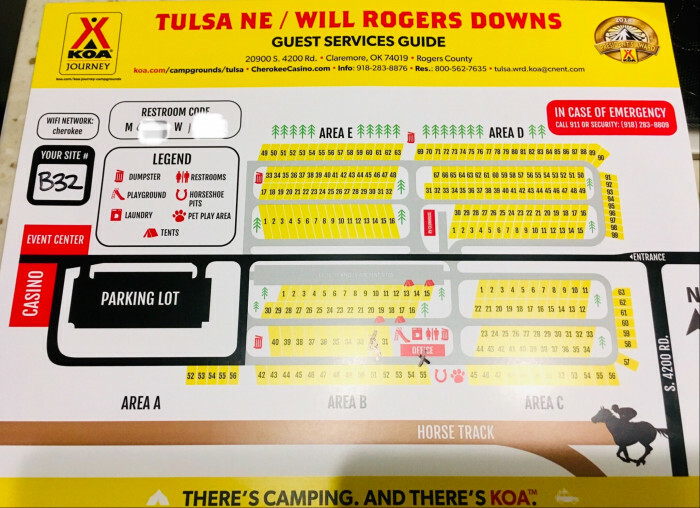 Ask fellow campers about "Tulsa NE / Will Rogers Downs KOA" and nearby attractions. This was a stop over to a Good Sam Rally in Texas. The layout is very accommodating for just about any size rig. We have a 40' 5th wheel and no problems maneuvering and getting into and out of a spot. The sites were long enough we didn't have to unhook, since it was an overnight stay. We camped in #6. The campground is adjacent to a casino that has a restaurant as well and it has pretty good food. We camped at Tulsa NE / Will Rogers Downs KOA in a Fifth Wheel. The sites on the north side are long, but crowded and narrow. 50 amp did not have a breaker. Had to plug in hot. Some of the long term residents are a little trashy and the let there little dogs off leash. 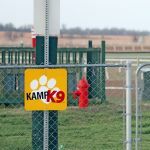 The dog park is closed when races or horse practice is going on. The road for the casino runs through the middle of the park, and some folks do not honor the 25 mph speed limit. Security is constantly patrolling the campground and parking lot. All in all, it is not bad and deserves 7 or 8 stars rating. We camped at Tulsa NE / Will Rogers Downs KOA in a Fifth Wheel. Go see the Will Roger's museum and go to Ike's Chili Parlor in Tulsa for great chili. We wanted to stay overnight in Claremore to go to the Will Rogers Memorial and the Davis Museum. The park is a little east of town and pretty quiet. We chose a pull thru and everything worked will, sites are fairly large and level, Our site was a gravel site and it rained the day we were here with no problems. All hookups worked well. We camped at Tulsa NE / Will Rogers Downs KOA in a Fifth Wheel. Clean park and was easy to get in and out. We had a small issue with power but all other hookups were convenient and easy. We camped at Tulsa NE / Will Rogers Downs KOA in a Motorhome. Park is close to the Casino and it was nice watching the horses practice in the morning. We stayed here for two days while visiting relatives in Claremore. Clean with wide enough sites. This campground is part of a casino and horse racing track. Clean. I felt safe. Only one tiny, annoying thing-the office did not open until 10:00 am and closed by 6:30 pm. We camped at Tulsa NE / Will Rogers Downs KOA in a Motorhome. Nice dog park. Staff uninterested but not rude. Wifi useless. Sites far from level--no matter the size of trailer. Casino lights very bright, so ask for sites as far away as possible. Most electric/water only sites literally in the casino parking lot. We camped at Tulsa NE / Will Rogers Downs KOA in a Travel Trailer. This park is a bit pricey, but we always stay here when going to the horse races. Some sites back up to the horse track. Grounds are well kept. Shared bar-b-que grill between two sites. Picnic table at each site. Very nice playground area for the kids. There is also a horseshoe pit and pet play area. There is a laundry by the restroom as well. Very big rv Park with some permanents. Would recommend without hesitation. We camped at Tulsa NE / Will Rogers Downs KOA in a Fifth Wheel. 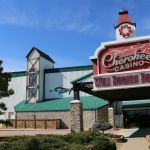 Live horse racing here at Cherokee Casino in the spring and fall. Ate both nights at Main Street Tavern. Enjoyed eating outside on their large patio. Food and service was great both nights. We were headed to the Texas Good Sam State Rally and got away late. We were driving in the rain and decided to stop for the evening. We called the Will Rogers Downs KOA and the staff was super nice! They said they would be gone by the time we got there but we could pick any site we wanted to and they had a lot of them! Our info was at the office and we got into our site with no issues. The restrooms were clean and there is a casino at the location as well. Great staff and they were very accommodating! We camped at Tulsa NE / Will Rogers Downs KOA in a Fifth Wheel. Fairly nice no frills park. We stayed in a gravel pull through but because of heavy rains there was quite a bit of mud. We would stay again as it was fairly easy in and out. 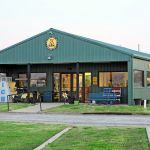 We camped at Tulsa NE / Will Rogers Downs KOA in a Motorhome. Small casino, horse race track, small restaurant in the casino. Food was ok. The park roads were dirt and easily maneuverable with a 36' DP motorhome. Our site had grass, which is more important if you have dogs. There was no cable TV connection. The water was easy to connect to, and the water pressure was sufficient. The RV parking pad was gravel and was in good condition. The WiFi connection was OK to their access point, but the internet bandwidth was zero, so it was a useless connection. Verizon cell signal was 5 out of 5 bars. We don't use restrooms, showers or pools, so we can't render an opinion on those items. There was a very nice dog park for our 4 footed friends (we travel with 3 golden retrievers). We did not notice any significant road noise, but noise like that doesn't bother us anyway. The price was reasonable for the services received, and the staff was very friendly and helpful. We camped at Tulsa NE / Will Rogers Downs KOA in a Motorhome. A good place to stay when in the area if you don't care about amenities. There is a small dog park and a playground. The park is at the Will Rogers Downs racetrack and casino. Small casino with a good restaurant, daily food deals and GREAT live music on the weekends. Security patrols the park regularly. We have stayed here several times when in the area and will stay again. We camped at Tulsa NE / Will Rogers Downs KOA in a Fifth Wheel. Fabulous racetrack view. Clean. Nice dog park area. Grass too. We camped at Tulsa NE / Will Rogers Downs KOA in a Fifth Wheel. Casino and grill on site. Sites are level, but just grass. Sites are fairly close together, although with enough room to get your slides out. Has a nice meeting room for groups, but no stove, sink, or refrigerator. Nice fenced-in dog exercise area. Bathrooms were new, clean, spacious, and needed a security code to get into. That's the fairly good news. 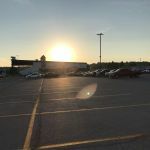 The really, really bad news is the entrance and exit roads to the gambling casino next door RUN RIGHT THROUGH THE MIDDLE OF THE CAMPGROUND. Simply amazing. And a bit dangerous. And very noisy, especially in the middle of the night as the gamblers come and go. Never again will I visit this campground, which is something I have never written about a campground before. We camped at Tulsa NE / Will Rogers Downs KOA in a Motorhome. Loved watching the horses exercise in the am and then line up to race. Right in front of the Rv sites. Good dog park. Got discount to the casino restaurant plus they run specials. Spent 3 days there. We camped at Tulsa NE / Will Rogers Downs KOA in a Motorhome. Will Rogers museum, Oklahoma Military Academy. 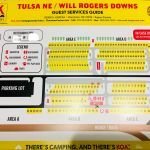 Are you affiliated with Tulsa NE / Will Rogers Downs KOA ?